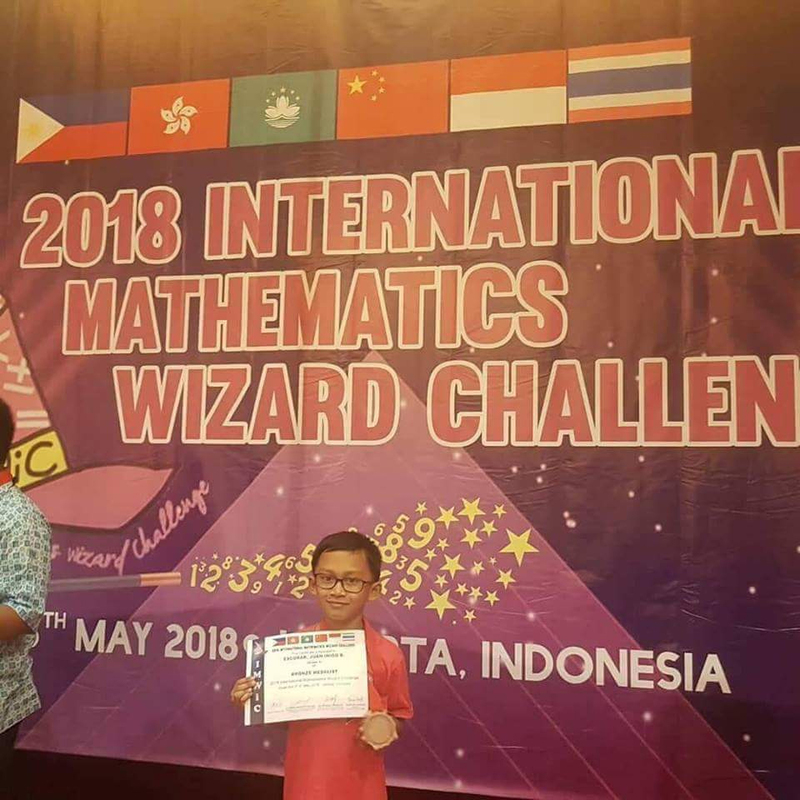 Six (6) students from St. Paul University Philippines- Basic Education Unit bagged three (3) medals and three (3) merit awards at the 2018 International Mathematics Wizard Challenge held in Jakarta, Indonesia last May 5-6, 2018. Joyce Angela G. Dela Cruz, (Grade 11), won silver medal; while Juan Inigo B. Escobar (Grade 1) and Yuan Francois L. Cabildo (Grade 2), each won a bronze medal. 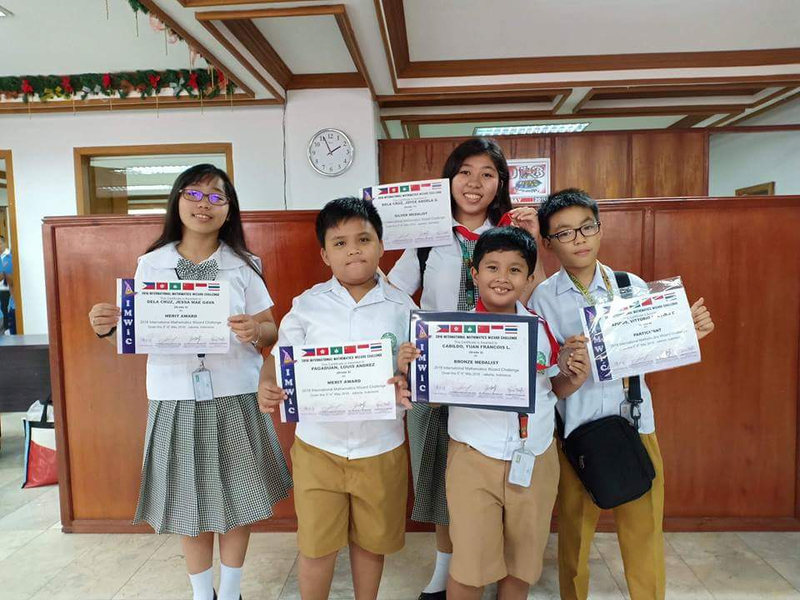 Meanwhile, Louis Andres Pagaduan (Grade 2), Vittorio Santino Apidos (Grade 4) and Jessa Mae G. Dela Cruz (Grade 6) received a merit award during the said international competition. After a rigorous three-phase training program, these Paulinian graders were finally chosen as members of the Philippine Team and named as the Math Wizard 6. The first phase, comprising of 12 Saturday sessions, was the Mathematical Challenge for Filipino Kids Training Program (MCFKTP) that was designed to prepare and expose students to international math competitions through correspondences and variety of activities including specialized topics in mathematics like Number Theory, Combinatorics, Non-Euclidian Geometry and Higher Algebra, Integration of Complex Numbers in other fields of mathematics and latest problem-solving strategies. All the successful trainees of the MCFKTP were invited to attend the second phase named as The Young Mathematicians’ In-house Intensive Training Program (YMIITP) that provided trainees with lectures developing higher order thinking skills. Moreover, a battery of quizzes and examinations were used to evaluate the performance of the trainees as a basis for the selection in the last phase. Considered as the most crucial, the last phase was the Mathematical Olympiad Summer Training Program (MOSTP), usually scheduled for three to four weeks. Within the weeks’ schedule, ten to twelve sets of tests were given to identify the performance of each participant which was again used as a reference for the selection of team members who would be sent to international competitions. Aside from the Philippines, other participants came from Thailand, Indonesia, China, Macau, and Hong Kong. MTG, an organization of math experts, where SPUP is one of the training centers, has been training and sending students to international math contests since 1995.